The snow has melted this week but the weather is still cold. The garden is bleak, brown and muddy. 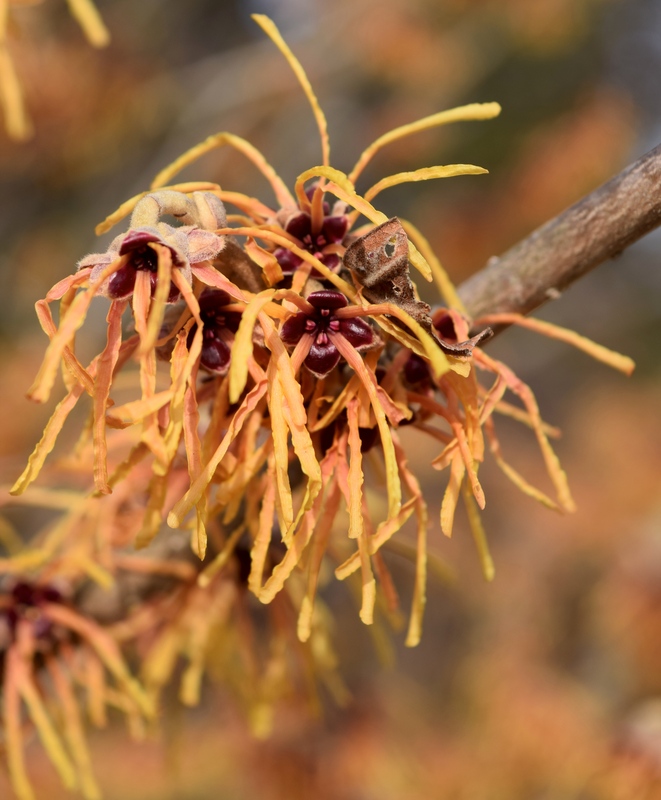 Witch hazels are the only woody plants that are providing some welcome splashes of color. 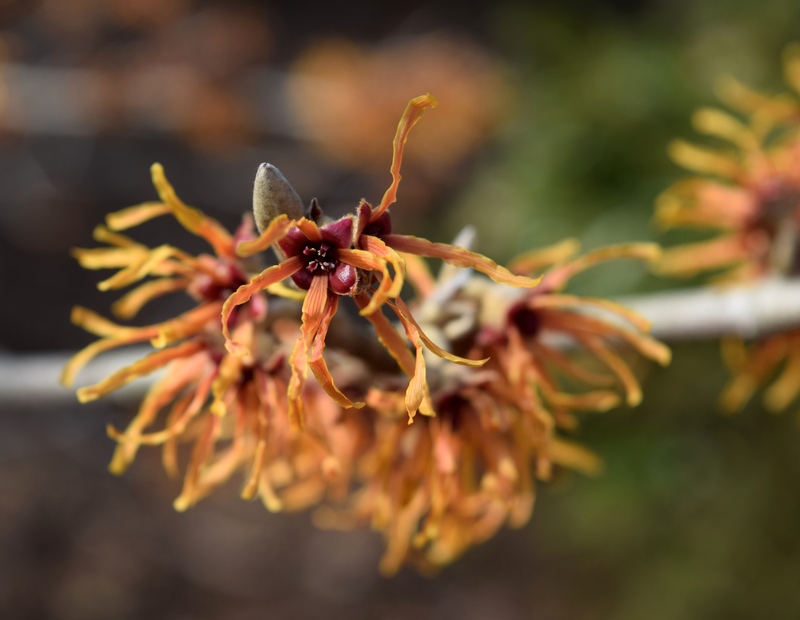 Gardening here in Pennsylvania where the timing of spring bloom is so variable from year to year, it is wonderful to have something to cheer you up despite a late spring. 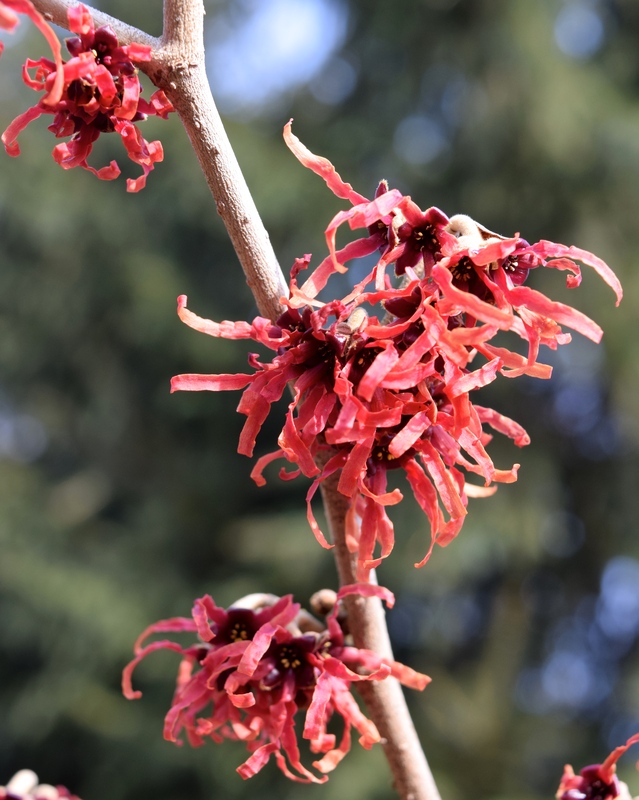 In no particular order, here are my top ten early spring blooming witch hazels for flower and fragrance in the garden. All of the cultivars on this list have a scent, some more than others. 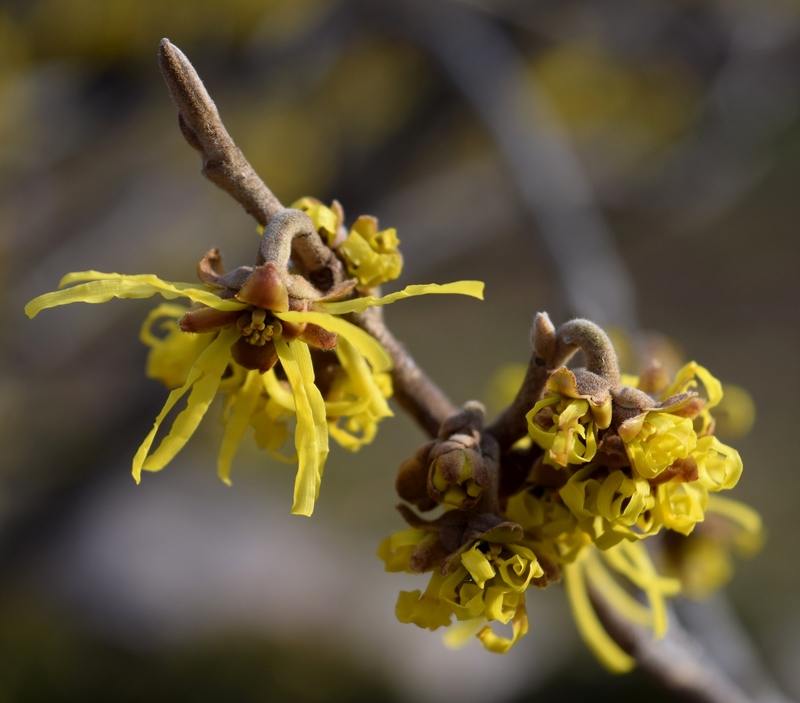 Try to buy these plants in bloom so that you can see and smell before buying them. Otherwise visit a public garden that has a good collection and make your choices there. 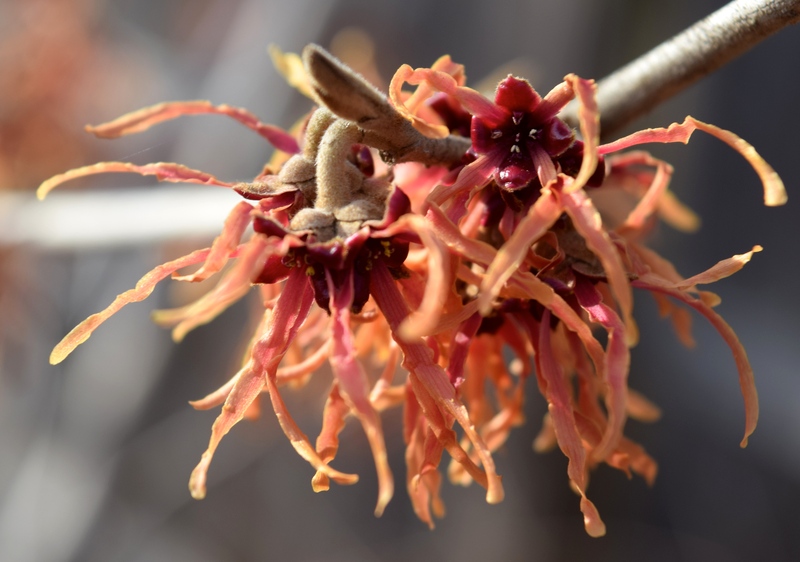 We grow all of these witch hazels in the garden here at Northview. 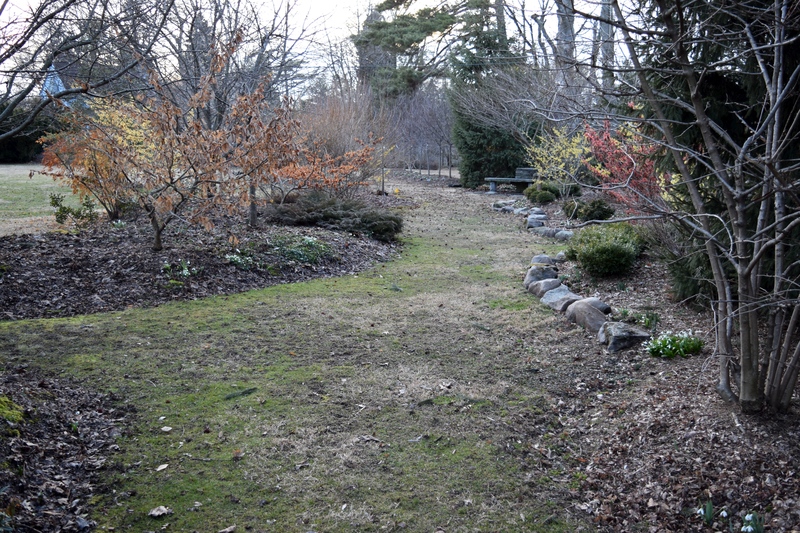 They are sited in sun to partial shade, on slightly raised berms to give them a good root run in un-compacted soil. We add a light top-dressing of shredded leaves in the autumn to help increase the organic matter. 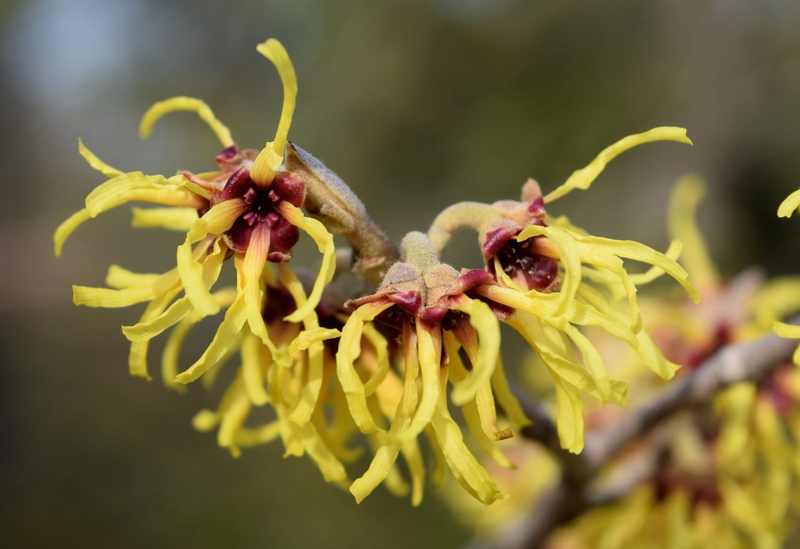 The witch hazels are under-planted with spring flowering bulbs like Galanthus (snowdrops) and Scilla, and other woody plants such as Corylopsis pauciflora (winter hazel), Microbiota decussata, boxwood and Sarcococca. 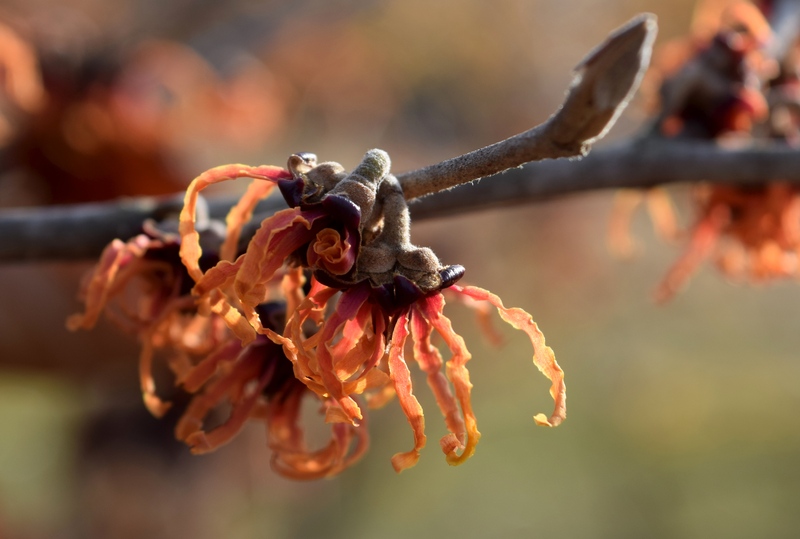 Witch hazels are large shrubs that for much of the year have green leaves but are not spectacular. 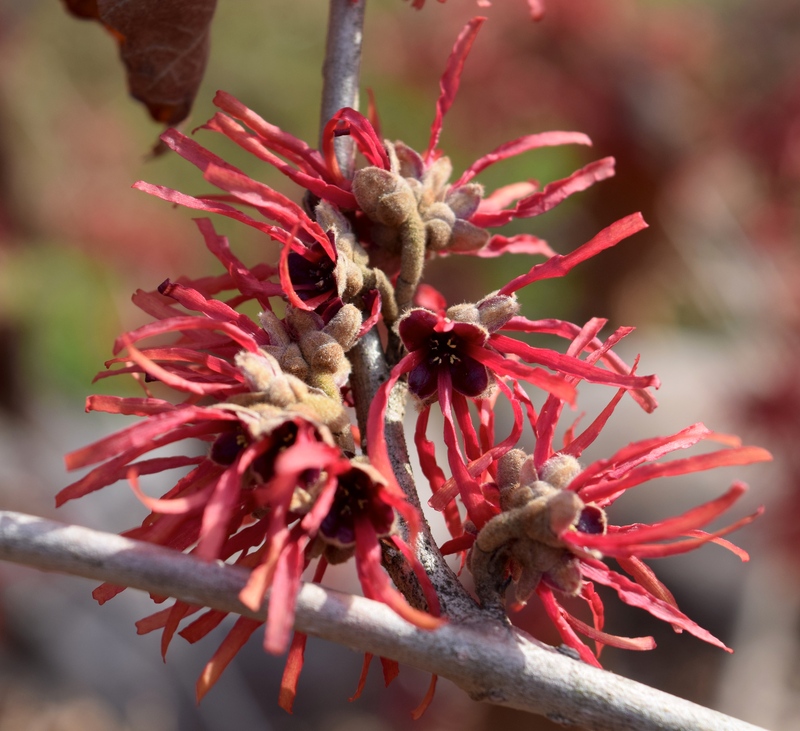 The leaves of some witch hazels, such as Hamamelis x intermedia ‘Jelena’, color up nicely in the autumn. 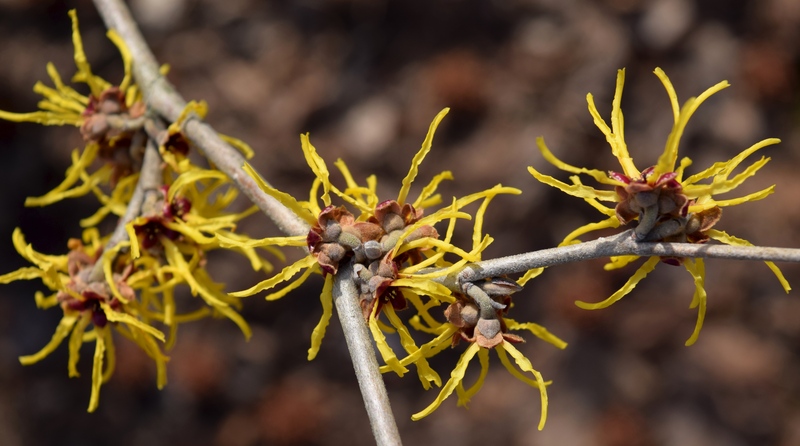 But late winter or early spring is their season to shine, with flowers in colors of yellow, orange or red. Their fragrances are citrusy, spicy or fruity blends that waft on warm breezes/cold winds to your unsuspecting nose. The scent is spring-like, maybe reminiscent of daffodils or hyacinths (we have none out yet). 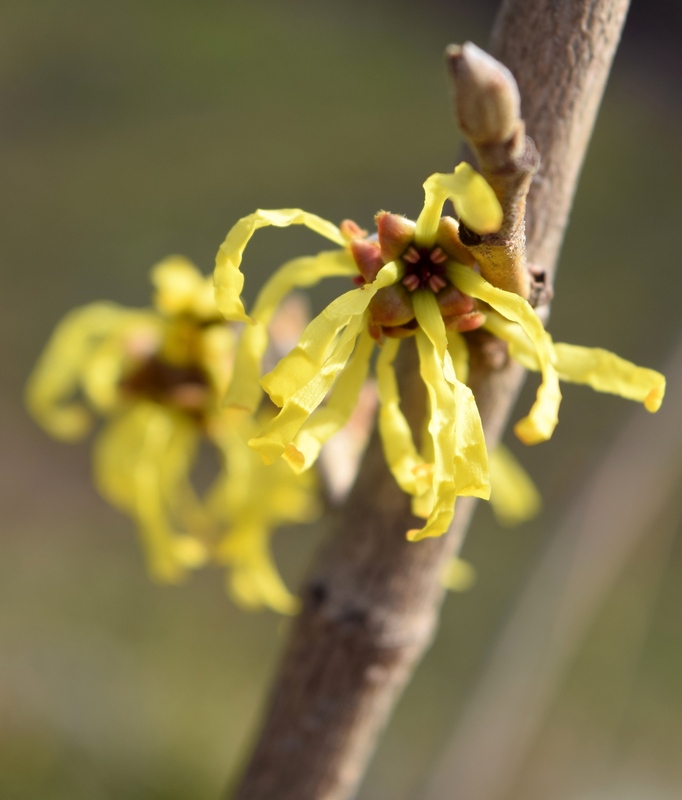 A true harbinger of spring – we hope.